I loooooooove me some curry. I like all kinds – Thai, Indian, African, you name it! They’re all so delicious and full of flavor. The other great thing about curries is that they can be pretty dang healthy. 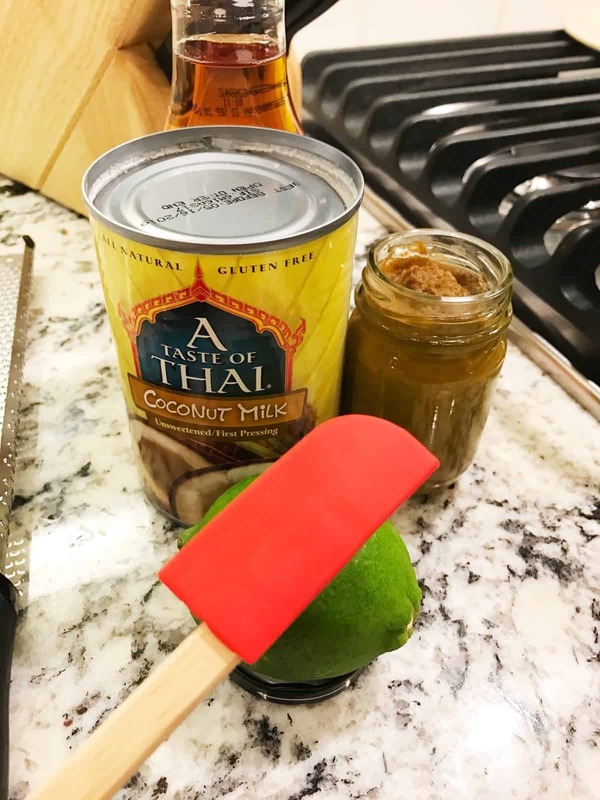 This recipe is no exception – it’s delicious, easy, and quite healthy if I do say so myself (under 300 calories per serving). Bon Appétit ran this recipe years ago, but they recently came out with a new-and-improved one. I tweaked it just a pinch, but the original is delicious, too [and photographs much better than mine]. We served ours over Cauliflower Rice, and I honestly didn’t miss the real rice at all. If you want some rice, I’d go with a Basmati and some delish naan on the side, too. The sauce is a combo of so many flavor-filled ingredients that pack a lot of yumminess without the guilt and calories. Plus, I got to use this cute little spatula. Win. Win. 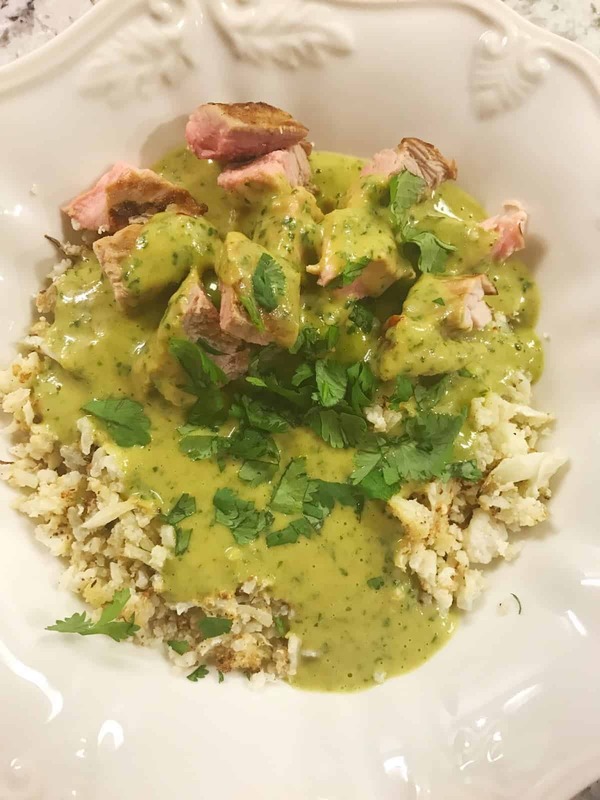 I love me some pork tenderloin – cheap, healthy, and pretty fool-proof. It’s best to undercook it than to overcook it, in my opinion. 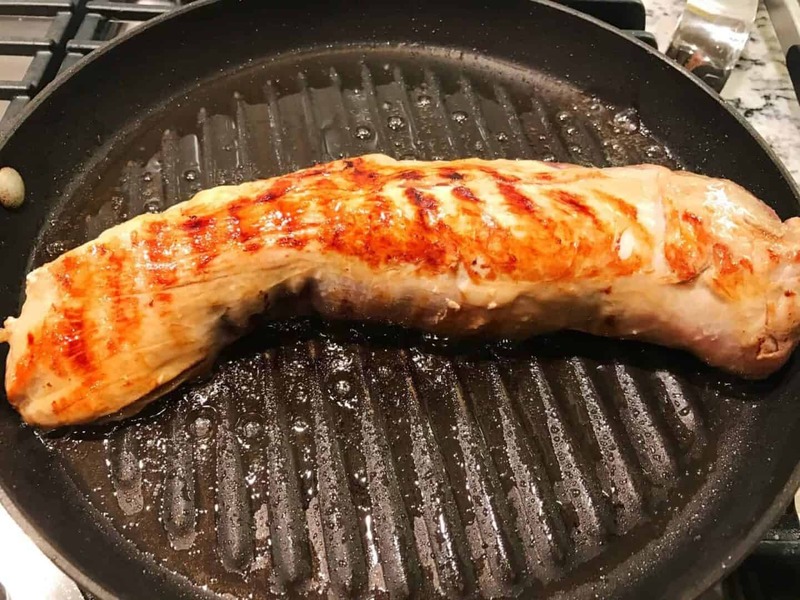 The best way to get a great, tender piece is to sear it on all sides (you’re going for a color like this one below) and then pop ‘er in the oven to finish roasting. And ALWAYS let your meat rest before cutting into it. I mean… ALWAYS! I have to be honest, pork doesn’t photograph well. It’s not its fault really, but the sauce makes up for it. Adding some fresh cilantro leaves never hurts either. Combine soy sauce, orange juice, syrup, and sesame oil in a large Ziploc. Add pork and seal. Chill, turning occasionally, at least 8 hours or up to 1 day. Remove pork from refrigerator and pat dry. Allow pork to rest while you preheat the oven to 250. Heat 1 tbs. coconut oil in large Dutch oven or oven-proof skillet over medium-high heat. Brown the pork on all sides, turning occasionally (about 5 minutes). Transfer to the oven and roast until the thickest part of the tenderloin registers 130 (about 25 minutes). Remove from oven and cover with foil to rest at least 10 minutes before slicing. Meanwhile, make the sauce. Heat 1 tbs. coconut oil in a large saucepan over medium heat. Add the shallot and sauté until tender (about 4 minutes). Add the garlic and sauté for 1 more minute, stirring occasionally. Add the curry paste and lime zest, stirring to combine. Cook until curry paste turns a darker color (about 3 minutes), stirring to prevent burning. Whisk in coconut milk, bring to a simmer, and cook until reduced by half (about 20 minutes). Turn off the heat and let the mixture cool slightly. Transfer the curry mixture to a blender and add the agave, lime juice, cilantro leaves; blend until very smooth. With the motor running, slowly drizzle in 3 tbs. oil and blend until sauce is thickened. Transfer the sauce back to the saucepan and heat until warmed through. 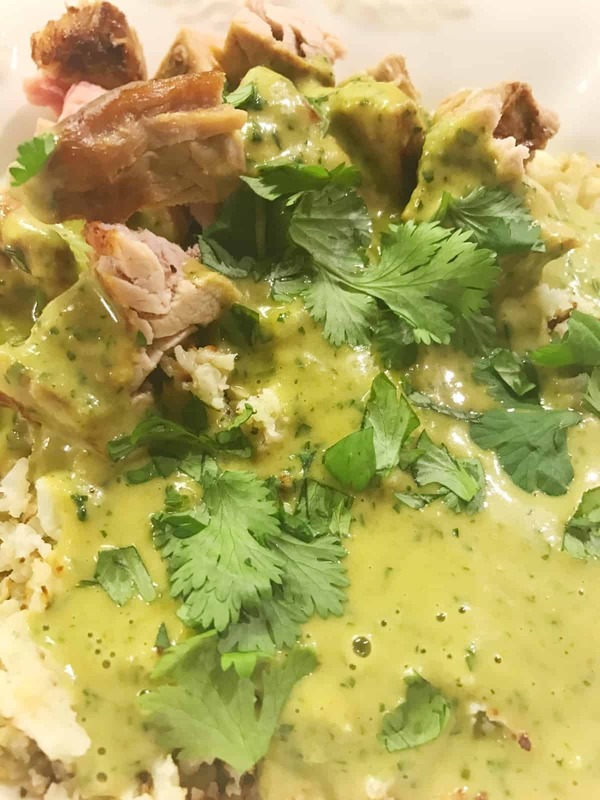 Serve pork drizzled with sauce and garnished with cilantro. Curry sauce can be made 1 day ahead; store covered in the fridge and heat through before serving. Previous Post Babies Shower – Tea for Two!